There are many forms of expression. Some people paint, some write poetry and others blog. 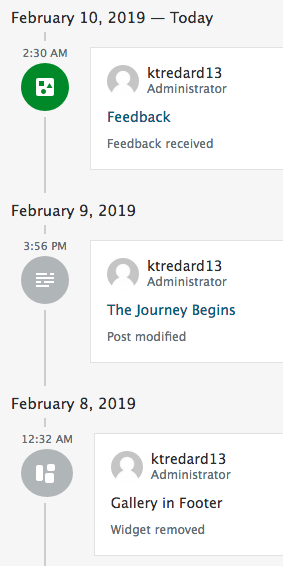 The process of writing something and posting it in a place where it could possibly to be read by thousands of people can be exhilarating and terrifying. But when you feel you have something important to say or a dying need to share then a blog is a great place to do that. There are many different platforms to choose from, but WordPress is user friendly and very accessible. All you need to get started is an account and an idea. The idea is an important bit because shortly after entering your email, username and password WordPress asks for the title of the site and the primary goal of the site. The name you make up on your own (ex. Digitize and Historicize), but there is a selection of goals to choose from, such as educate, share and promote. 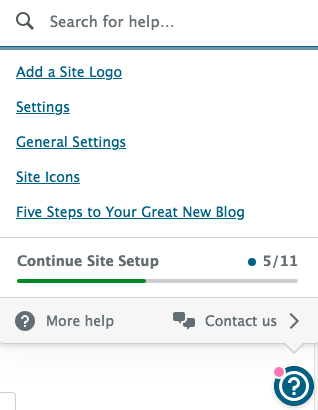 WordPress also asks for your comfort level (1-5) in creating a website so the platform can cater to your needs, which is reassuring (I personally chose 3). From here you give your site an address and domain, probably along the same lines as your title (ex. 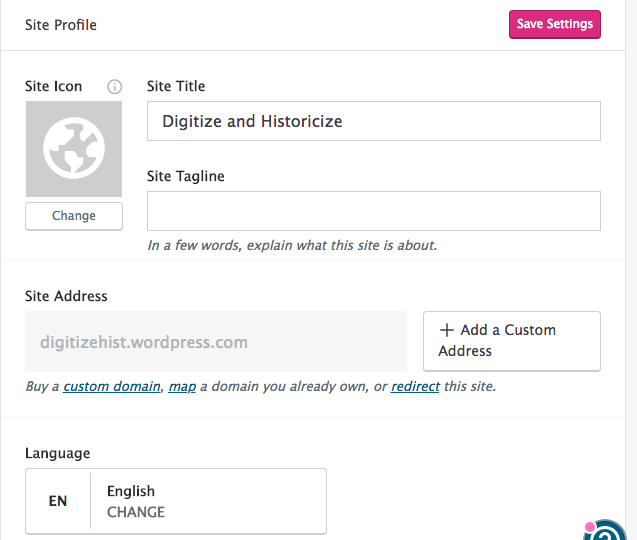 digitizehist.wordpress.com) and choose your plan. Starting out with a Personal plan gives you a year free before you need to start paying, so you can get comfortable with blogging before you need to fully commit. Once that is done you have a functioning WordPress blog. Congrats, now for the personalizing bits. 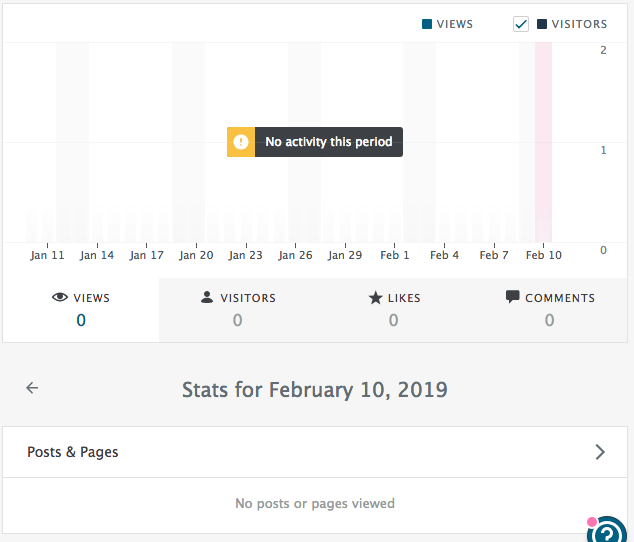 When you first open your account you will be sent to your dashboard, where you can create a new blog post, edit old ones, structure your blog, check the stats of your blog, and a lot more. There are a lot of tabs to go through so I’m going to take it from the top. The first tab on the left, below “My Site,” is “View Site.” This tab is how you access the public facing view of your website. 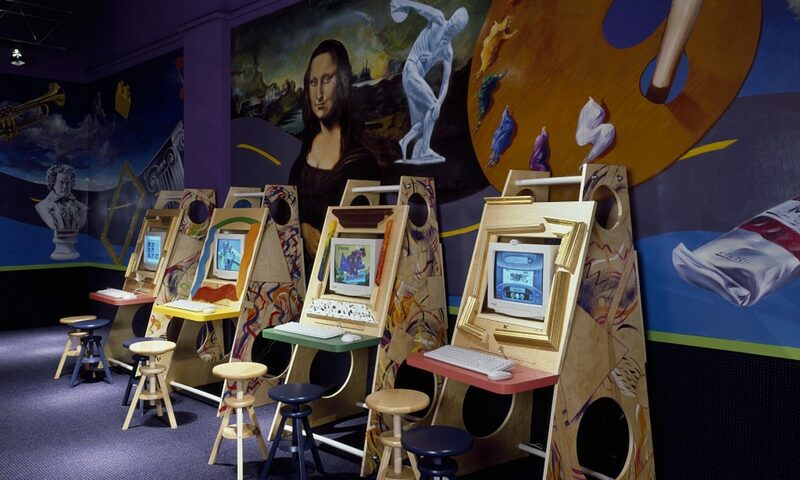 It shows what visitors to your site see from different views (computer, tablet and phone), your site address and the option to visit the site. Your next tab is “Stats.” “Stats” shows the traffic of your site, like the number of views, visitors, likes, and comments. It also gives “Insights” of your posts, like how much you have posted, your followers, tags, and monthly and annual site stats. You can also view your followers from here and add people to follow you. 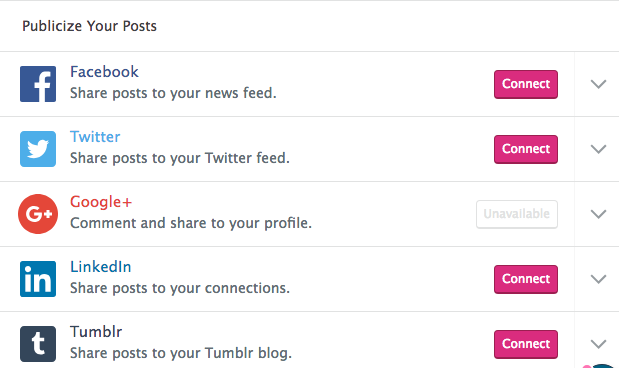 The “Activity” tab tracks your events, like when you posted, and what you have done on your site, like edits. This tab kind of functions like a timeline of your blogs life from creation to first theme edit to first post. 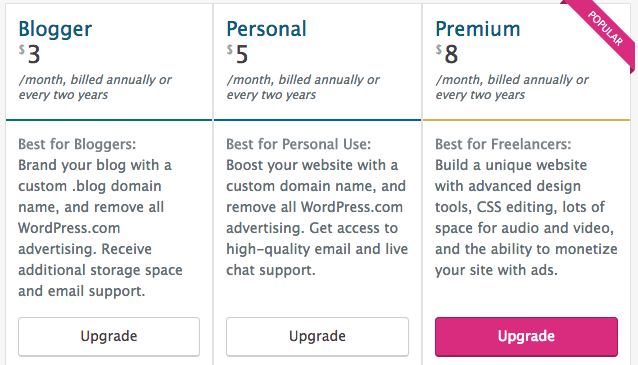 The “Plan” tab gives you access the other plans WordPress provides so you can upgrade to a higher plan whenever it is convenient for you. Now you have reached the Manage tabs where you can click on “Site Pages” to edit and view your published pages, like your Contact page that was automatically created when the site was opened. The “Blog Posts” tab functions the same as the “Site Pages” except for your posts instead of pages. “Media” is where you can upload media, such as photos, documents and audio. On this tab you can also make small edits before your media is published. Your “Comments” tab is your control over the comments posted on your site. You can view all your comments, see pending ones, and decide to approve or trash them. “Feedback” tab, to my understanding, is where you provide your own feedback of the site. It looks like a regular post, but when it is published it does not show up on your site. To be honest I have been playing with this tab for a while and still do not know exactly what it is supposed to accomplish. If you discover any insight while exploring then I welcome your feedback. 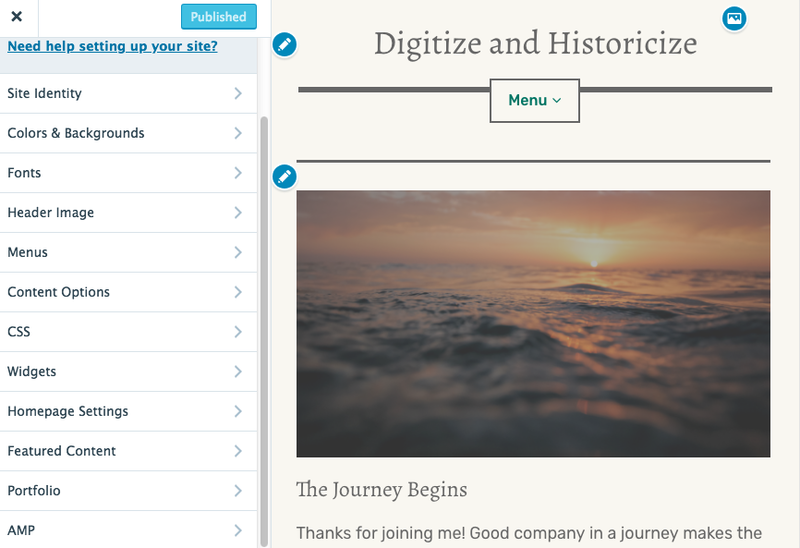 Moving on, the “Portfolio” tab lets you create projects and posts on these projects. The “Plugins” section gives you access to the multitude of plugins you can attach to your site, such as a Social Media Share Button. Many of these plugins require a Business plan account. The “Import” tab allows you to import content from other sites, whether that be from other WordPress sites, Blogger.com or Wix. Now, after this long exhausted list of tabs, you can personalize your website using the “Customize” tab. This tab directs you to a page where you can change the theme, font, colors, add and delete elements, attach widgets, and define your site’s identity. This is where you make your site your own before you even start posting. Once you have customized your site to your heart’s content you can look to the Configuring section to the “Share” tab. Here you can connect your site to social media pages, such as Facebook or Twitter. Below that is the “People” tab where you can invite people to your team and together you can add to the website. “Domains” gives you the opportunity to change your site address if you decide it no longer fits your website. 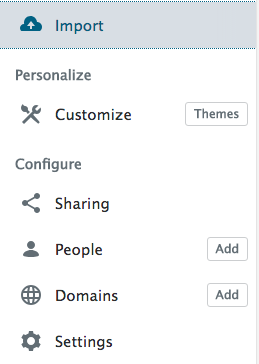 Finally, the “Settings” tab is where you can edit your site’s title, tagline, add an icon, adjust language, and manage your privacy settings. 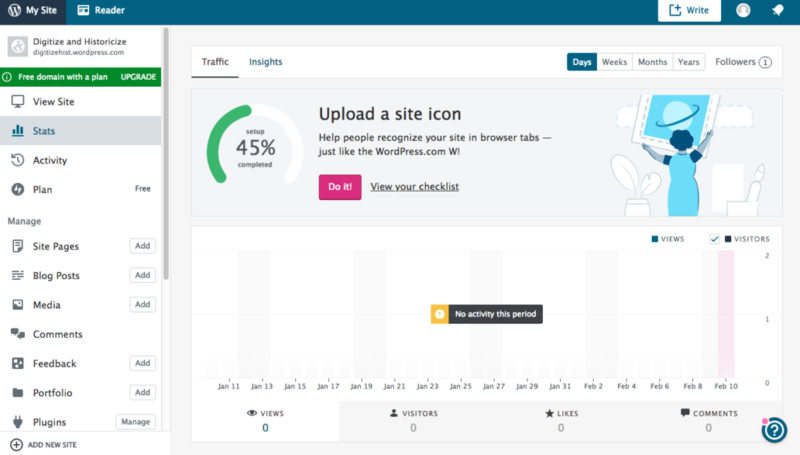 Lastly if you did not find this post helpful to your journey to discover WordPress then there is a small question mark in the bottom right corner of your dashboard. You can type in your question about the site and it will try to provide an answer. Previous PostPrevious Is it Straightforward?